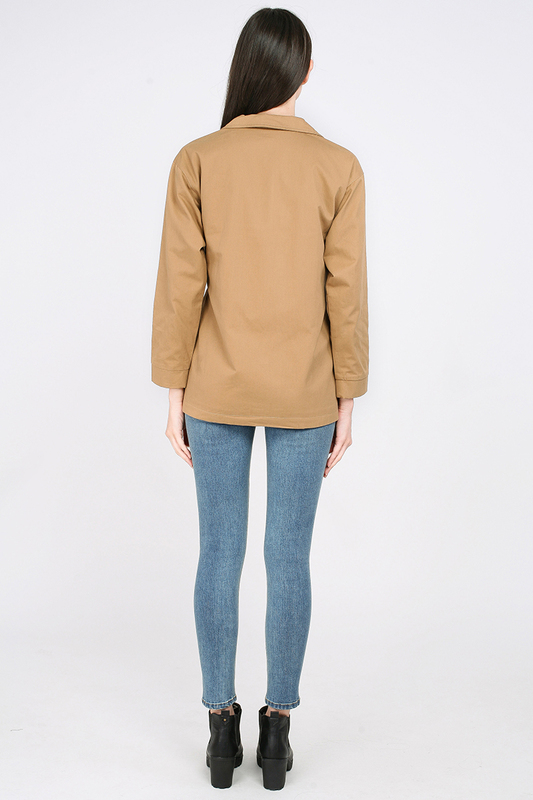 Go head on into the new season with a utilitarian-chic outerwear like the Dilber. 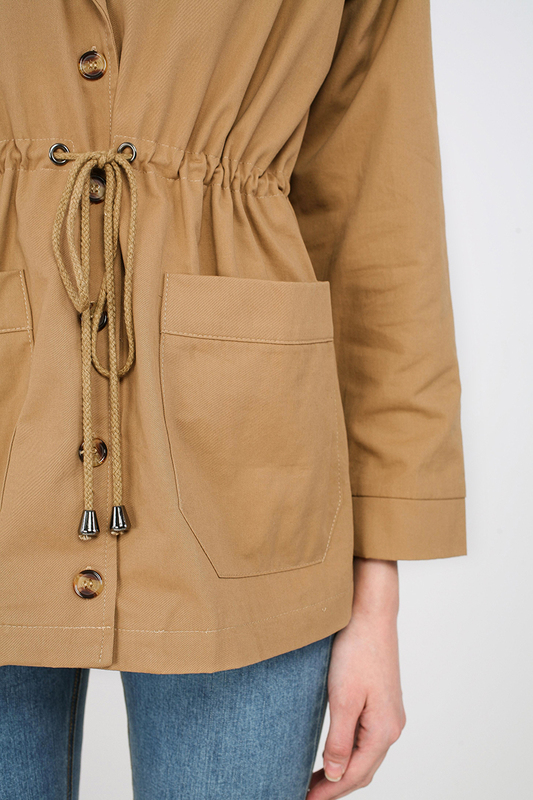 Cut from cotton-twill and spliced with tortoiseshell buttons, this boxy parka features a drawstring waist to cinch the slight-oversized silhouette. Pockets by the side complete the design. Sleeves 20" 20" 20.5" 21"
Length 28" 28" 29" 30"